A couple months ago my brother and sister-in-law asked me to help them figure out a weird corner in their kitchen. It was a big empty space that seemed to collect junk and kids toys but had oh-so-much potential. There were a few different options, including a butlers pantry. I threw a couple thoughts out there and always seemed to land back on the butlers pantry with wine fridge. My family is very fond of wine. I mean… who isn’t, right? But you might remember my parents’ living room built ins. Yes, we love our wine. So I did a couple quick sketch ups of possible layouts and then my sister-in-law talked to a local cabinet maker to get some plans drawn up. 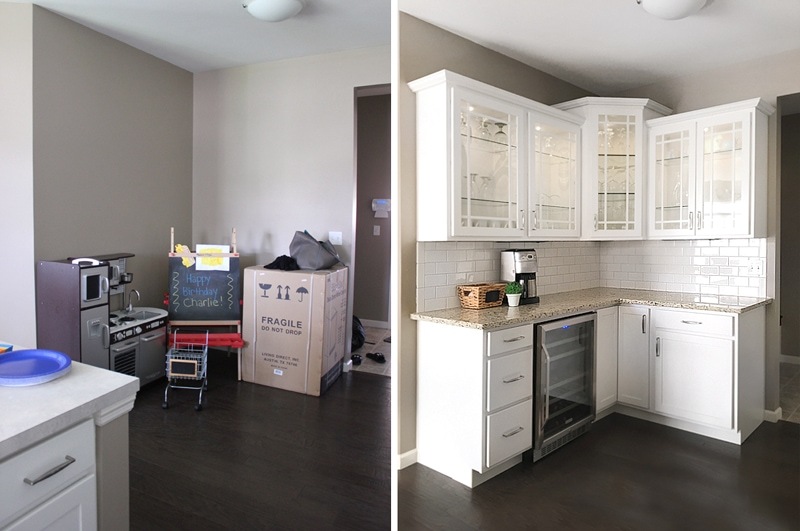 She ended up with drawers on the left plus a wine fridge, a lazy susan base corner cabinet, and then a large base cabinet and drawer on the right side. 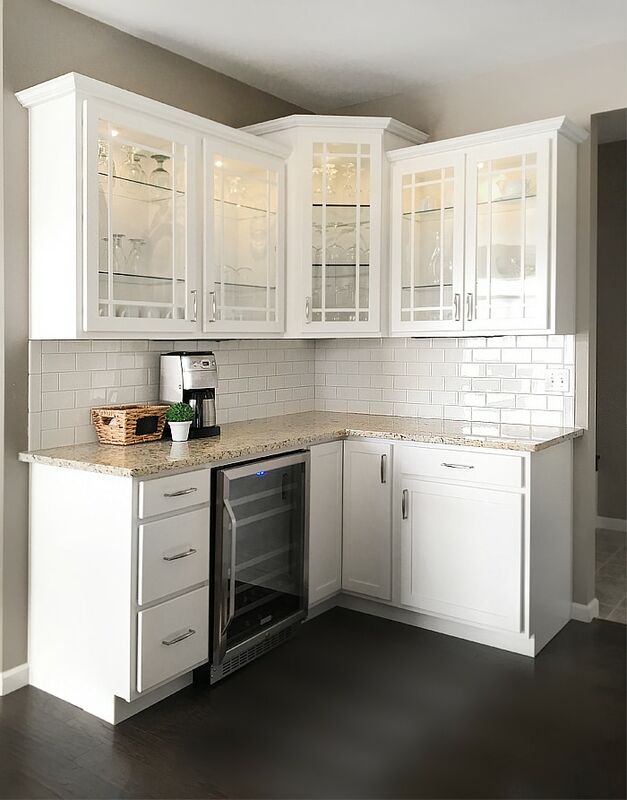 Up above all glass front cabinets. 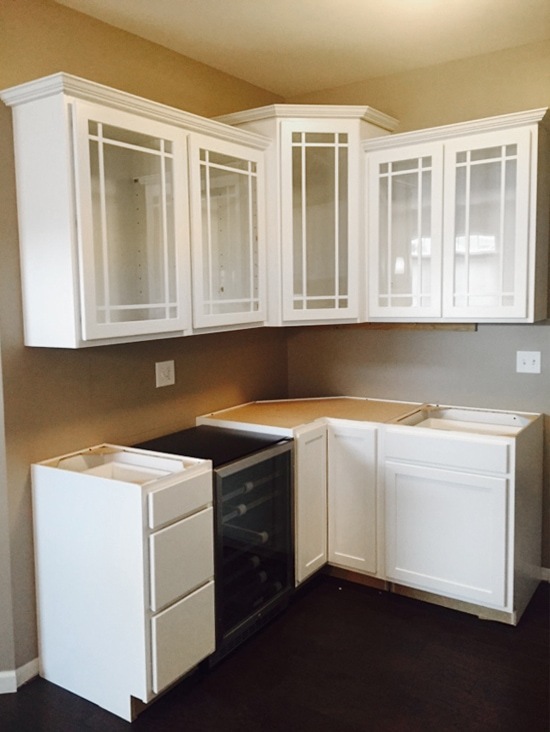 Luckily they were able to match the rest of her kitchen cabinets perfectly, too! A few weeks later the construction began (pardon the bad photos. I only shot this project with my iPhone so they aren’t the best quality). Then it was time to shop for granite and a backsplash. 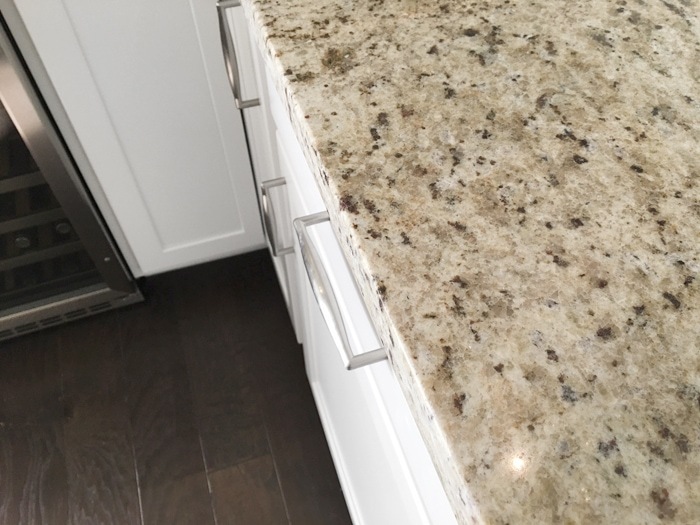 My sister-in-law wanted to replace all of the countertops in her kitchen with granite… something with lots of neutral tones. 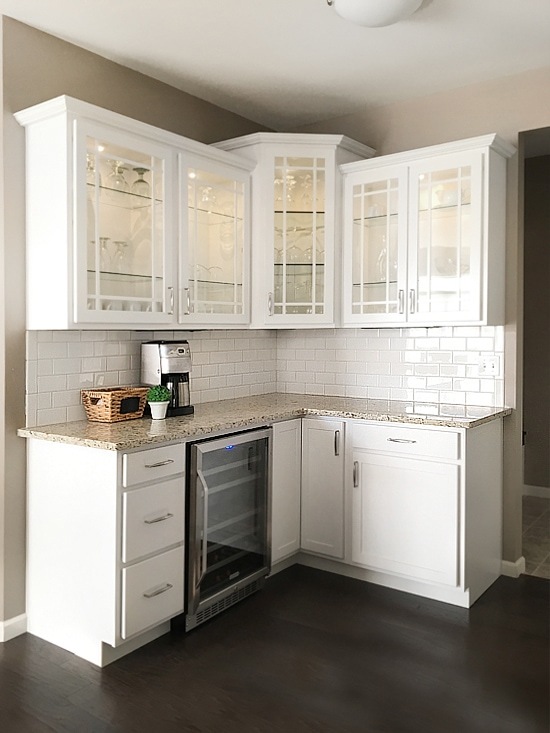 Beige, browns, and light creamy colors, something that would go well with the dark hardwood flooring and white cabinets, but still keep the kitchen light and bright! 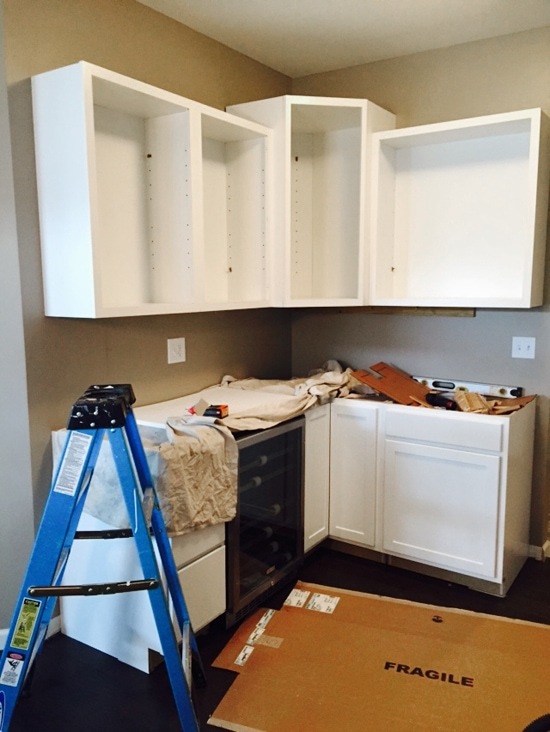 Once the granite countertops were in it was time to work on the backsplash. 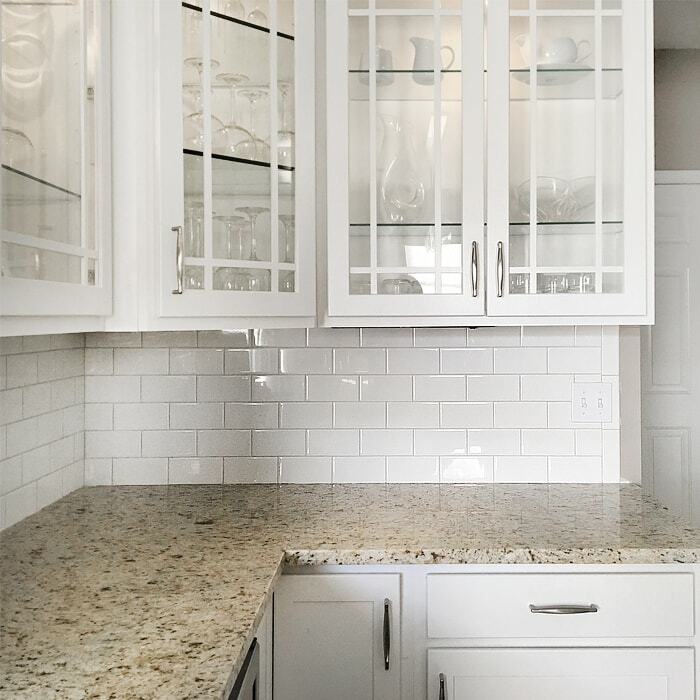 We opted for classic white subway tile. 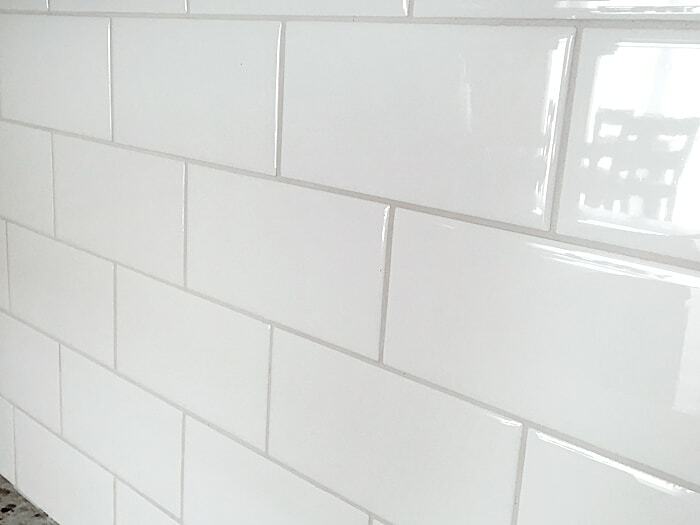 You can get a full tutorial HERE for how to install the subway tile backsplash. 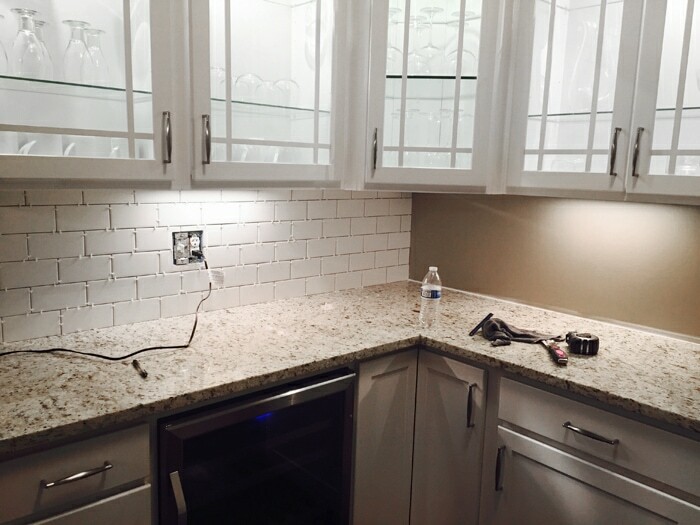 For the grout we chose a light tan color so the tiles would pop a little. 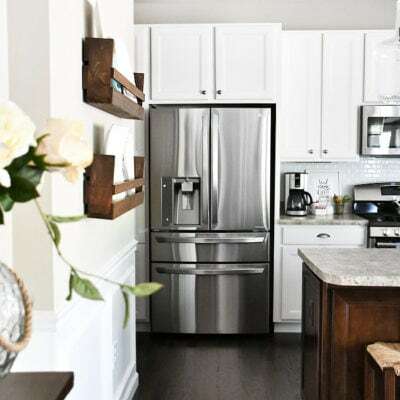 Love how it goes with the granite countertops and the color on the walls (it’s Latte by Sherwin Williams). And here’s the completed butlers pantry! from kid’s corner to mommy’s corner! We still have some caulking and decorating to do on the shelves and countertops, but I can’t wait to get this thing all dolled up for the holidays! My brother and sister-in-law are having a huge Christmas party at their house and I volunteered to decorate their home for it the day after Thanksgiving. Best sister ever, right? So I know you’re trying to think of a little corner of your home to copy this little slice of heaven; I’m definitely doing the same thing in my mind right, too. 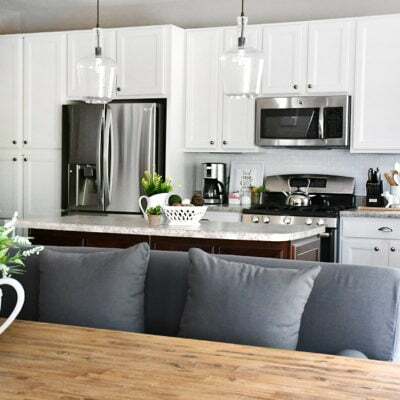 But just wait until you see the rest of their kitchen makeover…. you’ll be drooling for days!! Wonderful! Wish I had an empty corner! 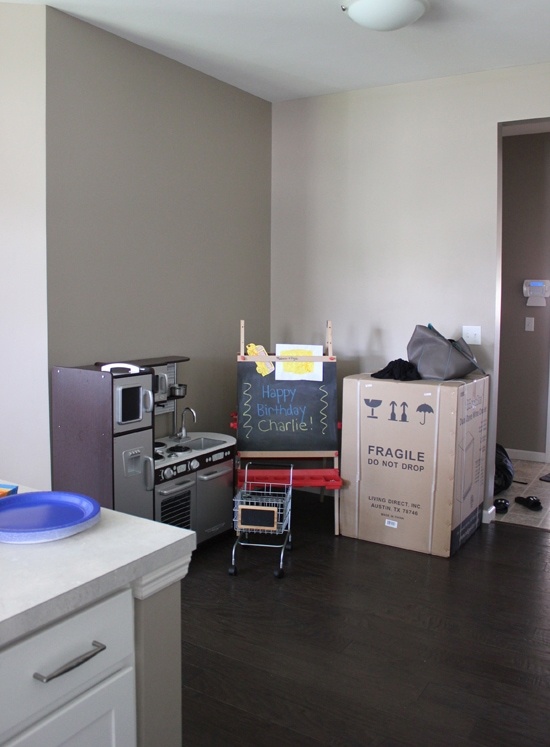 Have seen so many homes wtith that ’empty corner’, that no one seems to know what to do with! What a great idea!! I’ll be spreading the word!! Thanks! It’s beautiful!! Love it! Can’t wait to see the rest of the makeover! So cool! So much better organization and storage wise! I have a wall I need to do something like that with… Maybe this winter! That is awesome! I always wonder why they leave empty corners when designing homes. It just makes so much more sense to put some type of storage there. 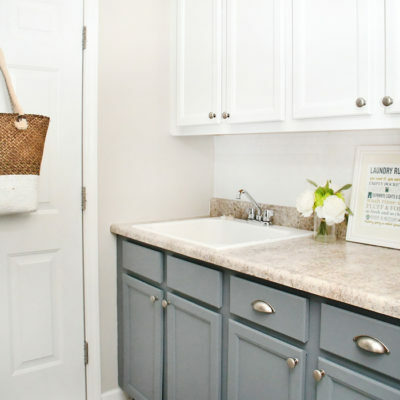 Good idea with the butler’s pantry! How pretty, not to mention functional. You did a great job on the design. I know your SiL has to be very pleased. Very pretty! 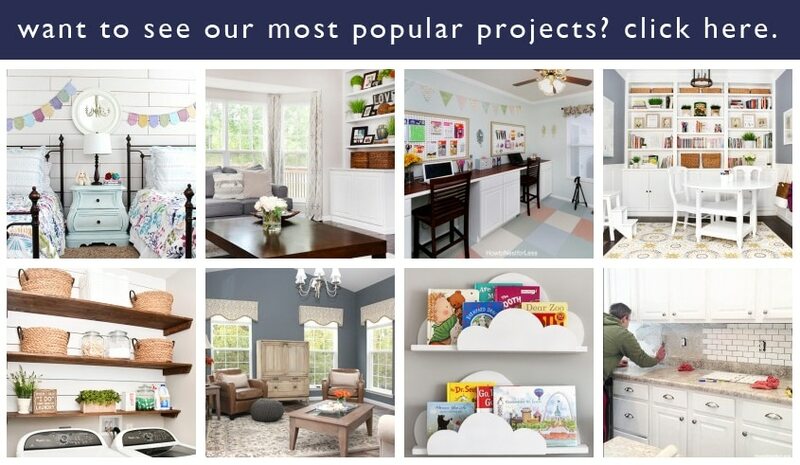 I love all the choices in design! And it really makes the most of that corner! Nicely done. This is gorgeous! I’ll not look at the empty corners the same way after seeing this.